When planning an outdoor activation, weather will always be a beast to predict. While there are a number of ways to outwit Mother Nature (e.g. fans, tenting, outdoor heaters; perhaps we should draft a blog about it), these preparations can also guide your giveaways. Which products are best for the battle? 1. Cold Weather: While we certainly don’t see many brands setting up shop on blustery streets, there are a brave few who make it happen. Branded hats, gloves, or scarves are a unique giveaway that can be useful and fashionable. Another crowd favorite? Hand warmers. 2. Hot Weather: There are hot summer days, and then there are HOT summer days. To relieve sweaty consumers, take a look into branded ice scarves. Simply soak in water, place around the neck, and enjoy as cooling magic ensues. Paper or battery-powered fans are also a surefire success. 3. Wet Weather: Temperatures can be predicted with relative ease, but a cloudy sky can turn stormy in a matter of minutes. Never fear! Any brand can be a hero by giving away ponchos. And, if the budget allows, branded umbrellas will save the day on more than one rainy occasion, making it a solid investment for those extra impressions. Small Business Saturday lands on a chilly November day, but that didn’t stop American Express from activating. 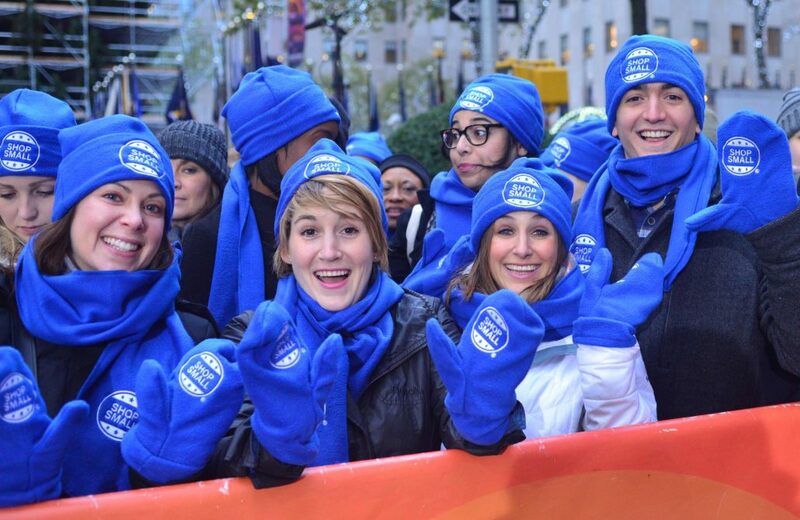 They promoted their “Shop Small” campaign by distributing branded hats, scarves, and mittens to appreciative attendees at the Today Show. For as often as we encourage attendees to tweet, post, snap, and share, we ought to treat their phones to a little TLC. And that’s precisely what this swag sets out to do. 1. Charging Up: Dying batteries are a frequent foe. Ensure your guests have the juice they need (and in the nick of time, no less) with a branded portable charging pack. There’s a wide array of designs and capacities fit for an event of any kind. 2. Tricking Out: Phone accessories are always a popular promo, and their longevity can pay off far beyond the event. Plus, the product selection keeps growing. Adhesive wallets, selfie sticks, styluses, stands, sleeves, and, now, VR goggles, are just a few of the branded items attendees enjoy. 3. Cleaning Up: Eyes are surprisingly adept at ignoring just how filthy cellphone screens can become. That’s why branded screen cleaners are a win-win. Consumers will pause to assess their screen’s condition, and, presto, they’ll already have the perfect tool to swipe away the mess. Tom and Donna of Parks and Rec had it right: “Treat. Yo. Self.” While event marketers can take this mantra to the Nth degree in any aspect of an activation, we find it especially effective when considering what attendees will take home. 1. Hydrate/Caffeinate: Environmentally friendly and endlessly useful, branded drinkware is always a hit; water bottles, travel mugs, tumblers, you name it. Pro-tip: Partner up with a local coffeeshop or smoothie joint and offer a promotion for consumers to get their first fill for free. 2. Simple Essentials: You might be surprised by the number of very common products that make for very popular giveaways. Our top brandable picks? Sunglasses, breath mints, and lip balm. 3. Rest and Relaxation: Swag and zen rarely land in the same sentence, but, we assure you, one can certainly lead to the other. Relaxation will look different for every brand and every guest, but some popular products for treating attendees include branded yoga mats, sleeping masks, coloring books, or chocolates. To promote the Season 3 premiere of MasterChef Junior, MAG partnered with Endemol Shine and took drinkware swag to the next level. 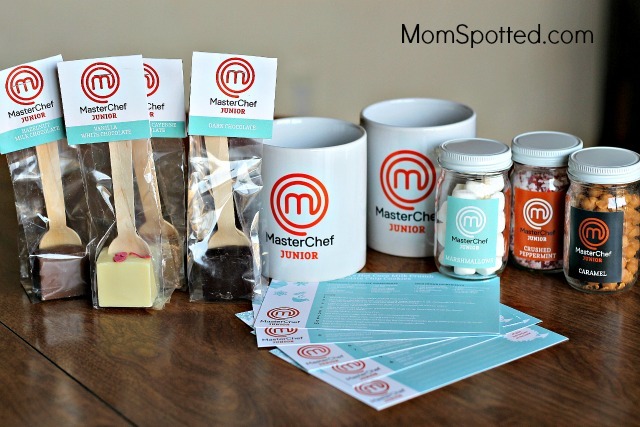 Gourmet hot cocoa kits were delivered to previous contestants and influencers, including Mom Spotted. Practically any product can be branded nowadays (trust us, we’ve tackled some wild work), but novelty isn’t always the way to win with consumers. Giveaways have the power to save the day, spark excitement, or simply deliver a moment of rest, and brands should consider the impact they’re aiming for. While these items have been proven valuable time and again, we always take a deep dive into an array of options to ensure we’re sending attendees away with swag they love (and swag they’ll love to use again). The michael alan group is a full-service experiential marketing agency & event production company. Check out our work and our team, and drop us a line to chat about the swag your consumers are sure to enjoy.